Improving vaccines’ efficacy and safety by taking into account pathogen diversities and host specificities. Mass vaccination is one of the biggest medical improvement of the 20th century. It put an end to smallpox, decreased in an unprecedented way the impact of diseases such as tetanus, yellow fever, rubella, poliomyelitis, and prevented some of the cancers caused by microbes. Its impact on both mortality and morbidity makes vaccination the second most effective progress in the history of healthcare, right behind the access to drinkable water. However, the role played by vaccines does not stop there: a lot of pathogens (such as plasmodium, leishmania, enteric pathogens…) are still resisting science; new viruses (HIV, Ebola, SARS coronavirus, Zika virus…) are emerging in developing countries while other pathogens (Mycobacterium tuberculosis, Bordetella pertussis…) are re-appearing in developed regions. Vaccination must progress and include the diversity of host profiles. Indeed, susceptibility to infections, sensitivity to vaccination and the intensity and quality of the immune response vary greatly within a population, depending on factors such as age. Through projects that gather academic and industrial partners, BIOASTER wishes to be part of the development of new generations of high precision vaccines that take into account microbial diversity and the profile of the host in order to improve efficiency and safety. The complex life cycle of some parasites. The important antigenic variation of many pathogens (ex: Trypanosoma brucei or Borelia spp.). The difficulty to work on extremely virulent pathogens (for example: level 4 pathogens agents) and also pathogens whose in vitro development can be complex (ex: Chlamydia). The absence of preclinical models mimicking the evolution of an infection in a human being. The recent improvements in immunology and microbiology have however deeply changed our vision of the microbial world and of the relationship between the hosts and the pathogens: BIOASTER combines the access to biological samples (through the BioSpecimens platform) and systems biology tools (omics, immunoprofiling, predictive modelling). 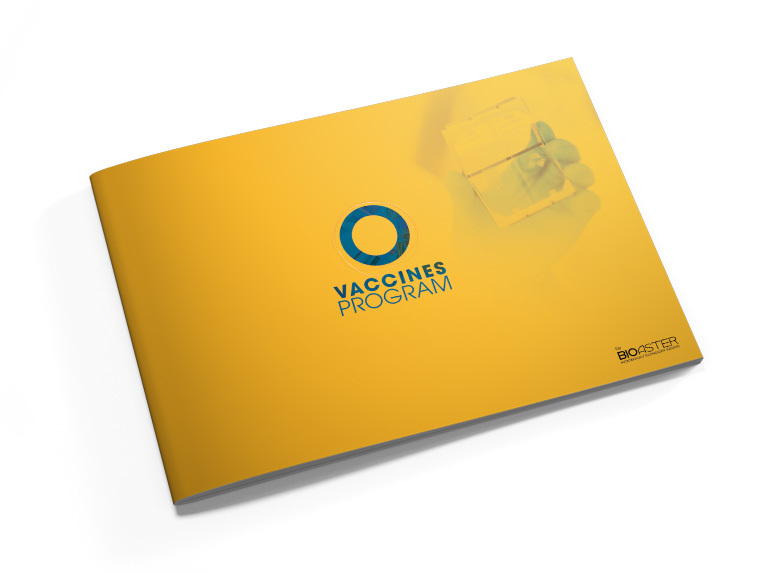 By using the best of these advanced scientific tools, the vaccines program aims at bettering the efficiency and safety of vaccines through four major fields of action. Over the past 20 years, the way we perceive vaccines has deeply changed. If attenuated vaccines (measles, rubella, BCG vaccine…) and inactivated vaccines (“full” pathogens against poliomyelitis or hepatitis A, or fragments of pathogens used against diphtheria, tetanus and hepatitis B) are still widely used, vaccinology also entered the world of genetic modification and of engineering. The first gave rise to new approaches (recombinant vaccines, conjugate vaccines, subunit vaccines, DNA vaccination, RNA vaccination…) and the other enabled the multiplication of vectors (innocuous bacteria or viruses that bring antigens to immune cells) and administration routes (intramuscular, transdermal, nasal, oral, vaginal…). Reverse vaccinology was a new step in the process of rationalising vaccines. Using genomic sequencing of pathogens, we are now able to identify proteins of vaccine interest and to combine them to produce potential antigens faster in order to select the most immunogenic candidates. Despite all the latest improvements, it is still sometimes difficult to prevent rare local and systemic reactions to vaccines or to predict how efficient they will be in some particular situations. In addition to other elements (separation, zero-risk syndrome, communication deficiencies…), this relative uncertainty feeds the mistrust against vaccines, leading people in the Western world to stop using even the most necessary ones. Molecular signatures that can predict the response of innate effectors (dendritic cells, NK cells…) or adaptive immunity cells (B cells, CD4+ T cells, CD8+ cells) to the vaccine. BIOASTER thus aims at contributing to the identification of new protection mechanisms and to the rationalisation of strategies (antigens, adjuvants or administration routes, for example) and of approaches (vaccines, diagnostic, antimicrobials, probiotics…). If the goal is the make vaccines more predictive, another big aim is to better our understanding of the individual risk regarding infections and to personalise vaccines. It means developing “tailor-made” vaccines designed to fit specific profiles or populations: vaccines for people living in poor regions (cholera, dengue fever, tuberculosis…), for elders or people suffering from chronical conditions who need to be protected from respiratory infections (influenza, tuberculosis, pneumococcus…) or new combinations to reduce the amount of injections for children (pentavalent vaccine/hepatitis B), but also to prevent teenagers from infections that are sexually transmitted and that can cause cancers (herpes, papillomavirus), and finally to maintain the immunity in adults (diphtheria, tetanus, pertussis, hepatitis B, poliomyelitis…). To develop these programs of personalised vaccinology, BIOASTER works on clinical development plans, optimizes collects through a centralised platform that gives access to samples (BioSpecimens) and on the preparation and analysis of biological samples. BIOASTER also explores the different parameters of biological response (genetic, epigenetic, environmental, immune and metabolic factors…) and develops predictive models and innovative technological answers (microfluidics approach, analytic methods, antigens screening…). As a whole, these fields of action enable the process of identification and validation of new vaccines and of their associated biomarkers. Adjuvants can be found in almost every vaccine and they help strengthening the immune response. They are for example used in new vaccine constructions based on subunits or recombinant antigens, less prone to cause bad reactions but also less immunogenic than “full” pathogens. In addition to historical components (aluminium sulfate, microparticles, squalene emulsion), scientists have also developed new adjuvants based on molecular patterns typical of micro-organisms or PAMP (Pathogen-Associated Molecular Patterns) such as lypopolysaccharides, peptidoglycans, flagellin, bacterial or viral nucleic acids. With the help of their specialised receptors (Toll-like receptors, or TLR), dendritic cells detect danger and start the appropriate innate and adaptive immune response. For the past century, adjuvants have helped bettering the vaccine cover by improving protection in order to prevent infections through the use of virus strains that are not present in the vaccine. They have also helped reduce the amount of antigens in each dose and the number of doses. Despite this success, the action mechanism of adjuvants is still quite unknown and their formula may be complex. By combining the in vitro and in vivo models and omics technologies, BIOASTER contributes to the increase of our knowledge on how adjuvants react. This will in the end enable us to create a new generation of adjuvants designed to stimulate in a selective way the different routes of innate and adaptive immunity. The production of vaccines, which keeps getting more and more complex (vaccine constructions are more and more sophisticated, there are more types of vaccines, of expression systems, of administration routes…), must answer to three issues: quantity (every year, biopharmaceutical laboratories have to produce billions of doses), quality (efficiency and innocuousness must be guaranteed from production to administration) and plasticity (the long production cycles are not fit for the emergence of vaccines against new pathogens and re-emerging ones). Through its R&D collaborative programs, BIOASTER wishes to improve both the process of development of vaccines and the production quality. Thanks to microfluidics, the institute develops “chip organs”, the aim of which is to reduce the use of animals during toxicology analysis. Innovative strategy enabling the production of vaccines are also taken into account by combining omics technologies and immune-profiling to identify new biomarkers. Among the many protein post-translational modifications, lipidation is a key process that determines not only the function of some proteins but also the infectious power of the pathogen carrying them. The lipidated proteins purified with pathogen extracts or produced by genetic engineering are thus often very immunogenic. However, producing them in large quantities is also very difficult. 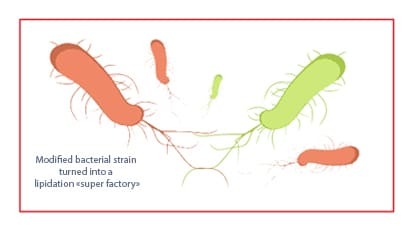 With its academic and industrial partners (Institut Pasteur, Sanofi & Merial), BIOASTER started the transformation of an Escherichia Coli bacterial strain into a lipidation “super factory”. It should be able to produce in a fast, easy and reproducible way highly lipidated proteins to reinforce vaccines efficiency.